Pakistan has “strongly condemned” the terrorist attack in Afghanistan’s city Jalalabad, killing and injuring many innocent civilians on Sunday. 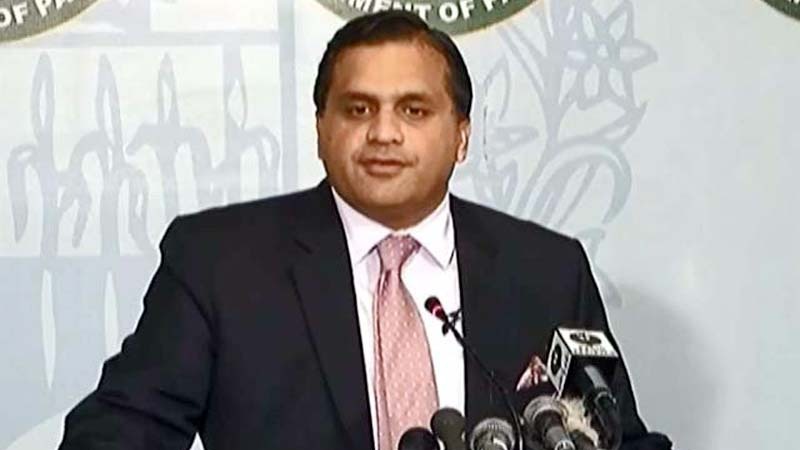 Foreign Office Spokesman Dr Mohammad Faisal, in a tweet on Monday, said that we are distressed and grieved at the loss of precious human lives. Pakistan strongly condemns the terrorist attack in Jalalabad, killing and injuring many innocent civilans on Sunday. He said that “we express our deepest sympathies and heartfelt condolences to the families and friends of those who have lost their lives and pray for early recovery of the injured”. We are distressed and grieved at the loss of precious human lives. We express our deepest sympathies and heartfelt condolences to the families and friends of those who have lost their lives and pray for early recovery of the injured. On Sunday, a suicide bombing in the eastern Afghan city of Jalalabad had killed at least 19 people, most of them members of the country’s Sikh minority. Police had said they had been travelling in a vehicle to meet President Ashraf Ghani, who is visiting Nangarhar province, when the bomber struck. Among those killed was the only Sikh candidate who had planned to contest October’s parliamentary elections. The Islamic State (IS) group claimed the responsibility for the attack.